Under the Nile's bright, primary-colored lap shoulder rompers are the perfect everyday clothes for baby. The one piece design is so comfortable for baby, and the leg snaps make diaper changes quick and easy! Like all Under the Nile products, this adorable romper is made from 100% Demeter-certified organic cotton and colored with certified organic dyes. Rompers are such a practical--yet cute--item of clothing for babies. 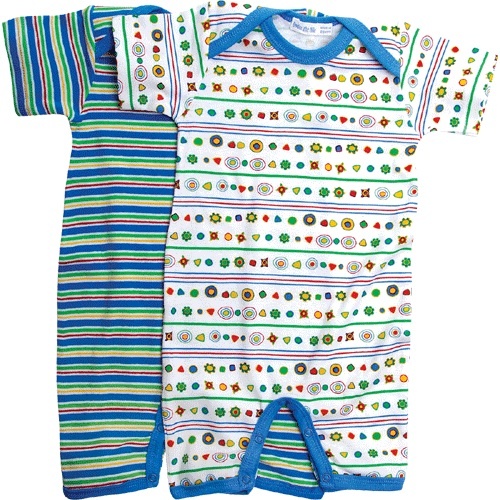 And the fun, bright colors of these rompers are a great way to spruce up your baby's wardrobe. 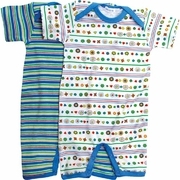 We recommend that you register for or purchase 3-4 rompers in a mix of 3-6 month and 6-12 month sizing.